For more than thirty-five years, readers have wondered what happens to the mystery armadillo on the last page of Sandra Boynton's classic board book, But Not the Hippopotamus. Now, at last, comes the long-awaited sequel. Behold the armadillo, a cute and curious creature who follows his nose wherever it goes. Join him as he quietly travels the less-traveled road: he picks cranberries, stops and smells the flowers, takes a nap in the meadow, searches out the source of a beautiful melody, and at day's end passes an overeager hippo sprinting the other direction. 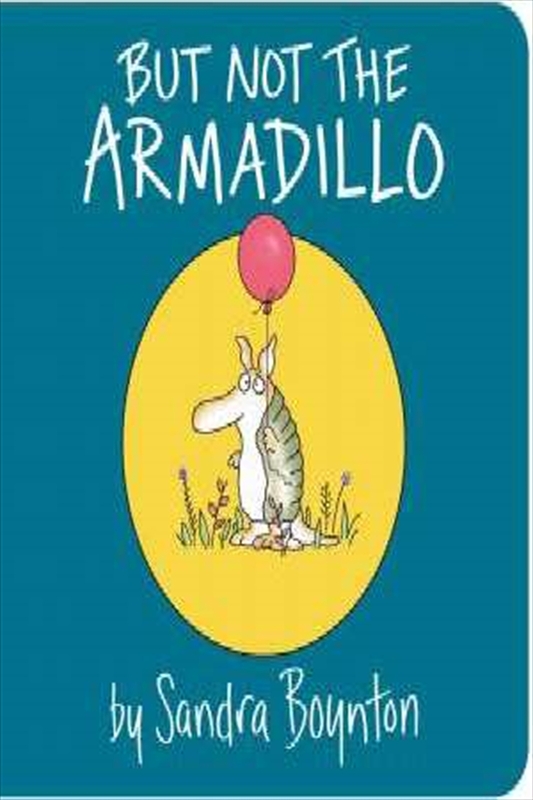 Told with Boynton's signature charm and unpredictability, But Not the Armadillo is a gentle and worthy companion book to But Not the Hippopotamus--perfect for curious little kids and grown-ups alike. And for everyone who has ever been concerned about the armadillo: Don't worry. He's completely fine just the way he is.